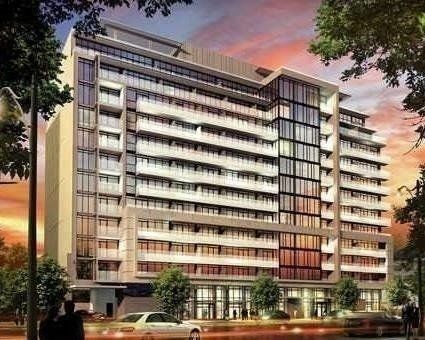 Executive Boutique Building Offering High End Finishes. Literally Steps To The Ttc, A Brand New Independent City Grocer And The Beautiful Walking Trails Through Lawrence Park. Enjoy Stunning Views From The Roof Top Terrace With Outdoor Pool, Hot Tub, Steam Room And Gym. Bright Open Concept, Large Balcony Overlooking The Park. Assume The Tenant Or Request Vacant Possession.